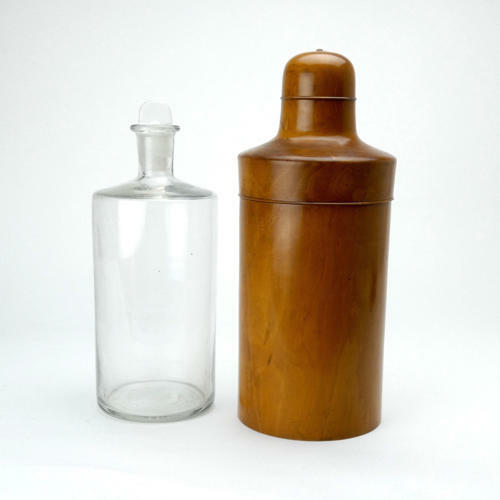 A large, Victorian glass medicine bottle in a wooden travelling case dating from c.1860. These items were made so that the glass bottle, which contained medicine, would be protected from damage whilst in transit, and this is a particularly large example. The case is turned from boxwood and the wood has a very rich patina. Both the bottle and the case are in excellent condition.